Combining chemical giants Dow Chemical and DuPont, each worth nearly $60 billion at Tuesday’s close, would be complicated. A three-way split thereafter might not unlock much value, either. The biggest benefit might be that asset rejiggering would allow costs to be slashed. That may be what investors who pushed up both companies’ shares by more than 10 percent on Wednesday are counting on. Slamming together two sprawling firms seems counterintuitive, especially given the involvement of activist investors Dan Loeb at Dow and Nelson Peltz at DuPont. Such agitators typically detest conglomerates, partly because they often suffer from a valuation discount. But the appeal of the deal isn’t creating one supersized agglomeration out of two old-school blue chips. It’s what could come next: The two companies’ collection of assets would be separated into three entities focused on agriculture, materials and specialty chemicals. Such a divvying up is consistent with recent activist thinking. Companies with more clearly defined businesses can be an easier sell with investors. They are often easier to manage. The DowPont agricultural spinoff, for example, could focus on the biology needed to create new seeds. The specialty chemical offshoot would be more about chemistry. And the materials business would worry about securing the cheap gas it needs to make plastics and other products. There might be financial benefits from all of that, but in this case it doesn’t look as if there’s a big conglomerate discount that would evaporate. The sum of the parts of the two companies, based on peers’ valuation multiples, is not far from where their stocks trade. But combining related pieces of Dow and DuPont would allow hefty cost savings. CNBC reported that the two companies might find $3 billion of annual synergies. At roughly 3 percent of combined sales, that sounds plausible. The present value of these, taxed and capitalized on a multiple of 10, would be $20 billion or more. Investors added about $12 billion to the combined market value of the two firms on Wednesday. That leaves room for upside, but caution is appropriate. No deal has yet been announced, and a merger of two big companies followed by a split into three could easily run into trouble. One early challenge would be to make the chemistry work. 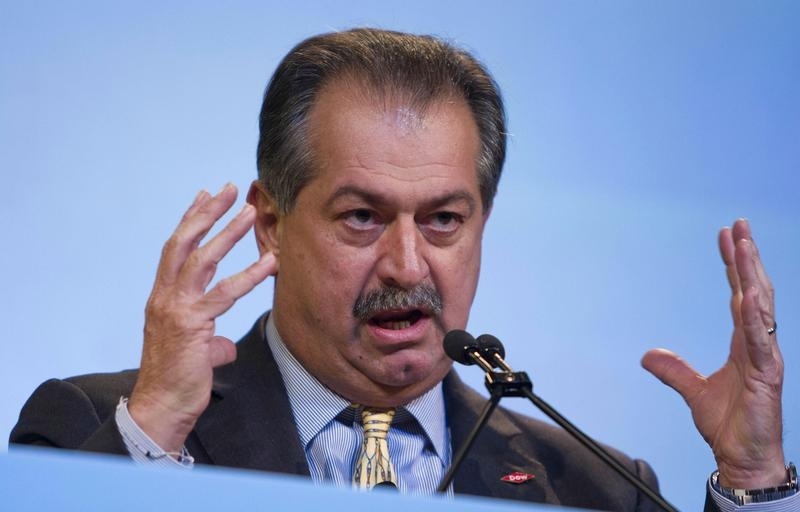 Dow Chemical and DuPont are in advanced talks to merge according to two sources familiar with the situation, Reuters reported. The discussions were first reported by the Wall Street Journal on Dec. 8. The U.S. chemical giants, with a combined market capitalization of about $120 billion on Dec. 8, are contemplating a merger followed by a breakup into three parts, according to the newspaper. A merger could result in cost synergies of about $3 billion, CNBC reported. Stocks of both companies were up about 11 percent at 2:45 p.m. EST on Dec. 9.